Big data has gone from buzzword to business staple, affecting everything from how companies recruit and hire to how employees perform core functions in the workplace. It’s indisputable modern tech has infiltrated work habits and boosted the potential for team productivity; nowhere is this observation more evident than in employees’ usage of mobile devices both in and out of the office. However, it also has a negative side: This “always-on” generation of workers are increasingly burned out, largely citing too much work for too little pay—and, ironically, we’ve got the data to prove it. A bombshell study from Kronos Incorporated and Future Workplace found 95 percent of HR leaders report employee burnout is “sabotaging workforce retention, yet there is no obvious solution on the horizon.” Let’s examine the state of employee burnout in 2017—and, more importantly, point out what you can do about it. In their survey, researchers from Kronos and Future Workplace polled over 600 HR leaders from organizations of various sizes, ranging from 100 to over 2,500 employees. Of those polled, 81 percent noted improving retention was a critically high priority, and nearly half pointed to employee burnout as the specific catalyst to their retention woes. Larger organizations appear to suffer more employee burnout issues. Organizations with 100-500 employees indicated burnout was the cause of 10 percent or less of turnover. HR leaders at companies with more than 2,500 employees, though, attributed burnout to half—or more—of their annual turnover. Respondents indicated the top contributor to employee burnout was unfair compensation (41 percent). Too much overtime or expected work after hours and unreasonable workloads—each gathering 32 percent of the vote—came in tied for the second highest contributor to burnout. 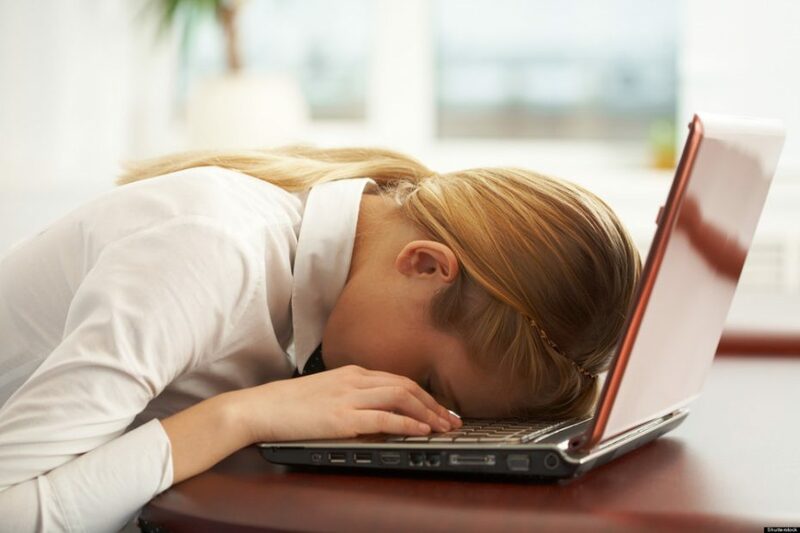 At organizations with more than 2,500 employees, 27 percent of respondents indicated insufficient employee technology was a primary cause of burnout. One in five HR leaders indicated that although improving retention is a priority, it will not be addressed in 2017 thanks to competing interests. Why? Sixteen percent of respondents pointed to a lack of budget to fix the issue. Many HR leaders reported they’re focusing more on recruiting than retention: Ninety-seven percent of respondents, in fact, plan to spend more on recruiting technology by 2020. Besides lower pay and higher workloads, respondents also cited additional reasons for employee burnout including a lack of C-suite support and outdated HR technology. It’s important to note here the value of culture in retention—and, to that end, where companies are faltering. Fifteen percent of respondents, for example, indicated a lack of funding was the biggest roadblock to improving employee engagement, a key driver of a successful workplace culture. According to commentary from Fast Company, “. . . culture can make or break retention efforts—especially if a company’s core value (explicitly or otherwise) is rewarding working long hours or being on call all the time.” I agree. That’s what burnout looks like in 2017—now, onto what you can do about it. Even your favorite food starts to get old if you eat it for every meal and obsess about it in between chewing—that’s precisely how I imagine employee burnout must feel for those afflicted. Luckily, there is hope—and there ought to be, frankly, because reports of the increasing numbers of Millennials in the workforce don’t bode well for retention. Require employees to disconnect sometimes. A recent study, Exhausted but Unable to Disconnect, found that even if employees didn’t always answer after-house emails, they were thinking about their inboxes and developing anxiety around the expectation they’d always be “on.” While managers can’t follow employees around and knock the mobile devices out of their hands every time they hit “refresh inbox,” they can promote occasional disconnection by creating “on call” email schedules for after-hours situations. Some businesses, for example, prohibit correspondence on weekends and after a certain time each evening. Kronos’ study points to data—and, by association, the technology it feeds—as both a blessing and a curse. On one hand, employees have access to so much tech that it’s difficult to “turn off” from work, one factor leading to a level of burnout so high it has created retention issues. On the other hand, a lack of technology in some cases—namely, HR solutions—was also identified as a contributing factor. The way forward for organizations is to find what applications of tech and data best fit their culture and begin there on the path to reduce employee burnout avoid subsequent turnover. Has your organization experienced an uptick in employee burnout? What solutions have you found to re-engage and destress your team? Tell me in the comments. This article was originally shared on Future of Work.